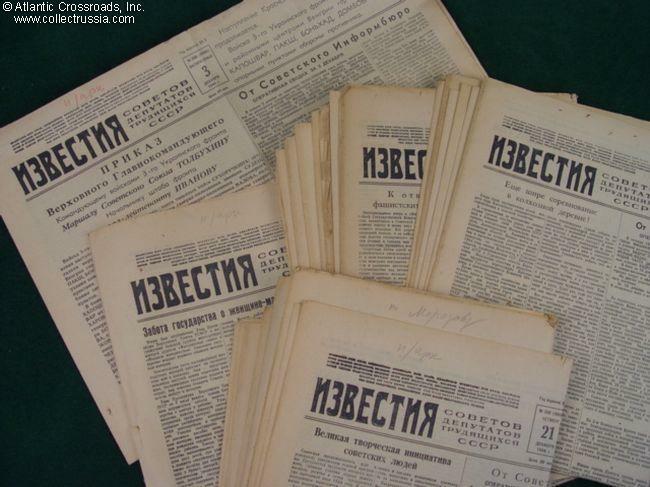 Izvestiya [News] Newspaper, December 1944. 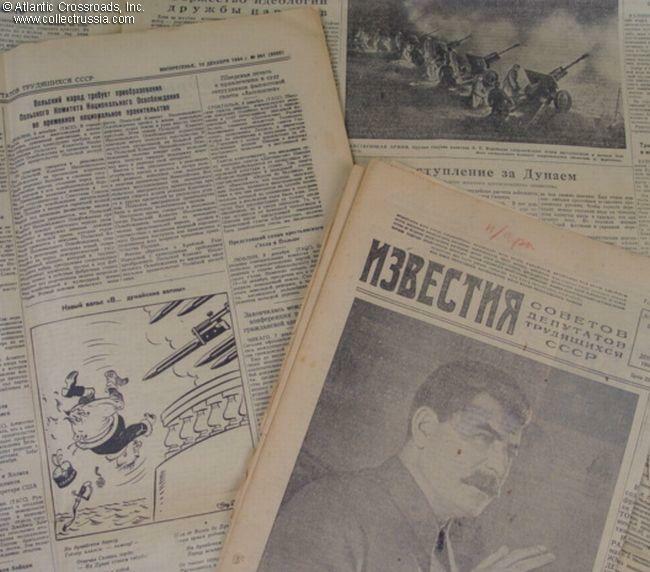 Each issue contains detailed reports from the fronts. Average of 2 photos per issue. No choice available here - we will select from our available inventory at random. All are in the same, very good condition, light wear to the edges only. No significant tears or missing parts, will display nicely. Will be shipped folded in four. Size 23 1/2" x 33".